Christina Grey Cooper has done her best to be the wife her husband Dare seems to need, no matter that it’s tearing them both apart. But this Christmas, she can’t pretend any more: letting go of her marriage is long overdue. 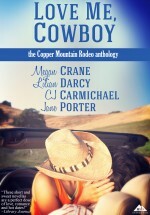 Dare Cooper is well aware he’s letting his past poison everything– but he can’t believe Christina will really leave him. Until it’s too late. 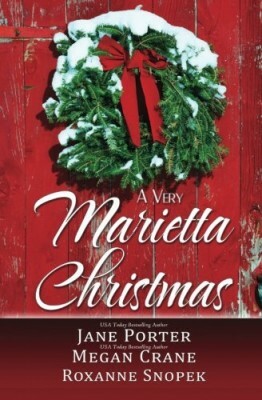 Yet Christmas can be magical for those who seek it, and Christina’s hometown of Marietta has a way of making that magic real. Can Dare find his way home to the only woman he’s ever loved-and can Christina find a way to forgive him? All he wants is a Christmas memory… Trey Sheenan has risked and lost everything– his freedom, his fiancee McKenna Douglas, and his infant son TJ. McKenna has loved Trey since they were kids, but she’s had enough. She’s put her mistakes– namely Trey– behind her and moved on. When Trey is released early from prison, he’s determined to beg McKenna’s forgiveness. But he’s too late. McKenna is marrying someone else. Or is she? Once again, Trey risks everything, but this time it’s for love… and the memory of one perfect Christmas together as a family. When Austin takes over the family farm, he is convinced that Melinda won’t want the only future open to him. Rural Montana, after glittering Chicago? Melinda Sweet doesn’t need her husband to have great wealth, she just needs him to believe in their life together– especially now, when at last there’s a baby on the way. 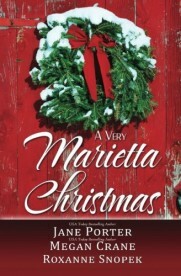 Girl Next Door, Heroine On the Run, Cowboy Hero, Christmas, Fake Relationship, Good Girl/Bad Boy, Lovers Reunited!, Marriage in Trouble, Meddling Relatives?